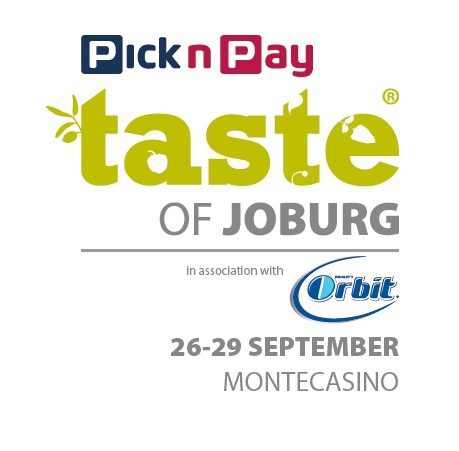 Don’t miss this year’s @picknpay @TasteofJoburg Festival in association with @orbitgumsa from 26th – 29th September 2013! With thanks to the sponsors, I am thrilled to have the opportunity to have four tickets to the 7th Annual @TasteofJoburg Festival to give away! Over the next couple of weeks I will be sharing some information on the restaurants and their fabulous chefs with you. Twelve of Johannesburg’s stop restaurants will present signature dishes in an unbeatable alfresco gourmet setting – fabulous! There will be additional tickets to win in the weeks leading up to the taste sensation of the year!! The winner will receive four complimentary tickets to the @TasteofJoburg Festival. The winner needs to follow @NocturnalWenchy and @TasteofJoburg on Twitter to be eligible for the draw. Please leave the answer in a comment on this blog post. The winner will be drawn on Thursday, 5 September 2013 at 6pm and will be announced on my blog. Comments will be made public after the draw. The winner needs to answer the following question correctly: When does the @PicknPay @TasteofJoburg Festival in association with @orbitgumsa take place? Next Article … drum roll please…… @TasteofJoburg Winner!! 26-29 September 2013 – dates for Taste of Johannesburg. Competition entry. The festival takes place from 26nd-29th September 2013. Looking forward to the draw!!! Thursday, 26 Sept to Sunday 29 Sept.
Hi there, love this comp….Taste of Joburg starts Thursday 26 September until Sunday 29 September. Totally yum-a- licious 🙂 yes corny but cute! I must also thank you for the inspiration. I was intending only selling my sandwiches at office parks, but when you put the post up about the Market on Main, I knew that it was the place I had to take them too. Thank you. Wow. This is a beautiful, awesome message. I truly appreciate it so very much. You have no idea!!!!!!!!!!!!! I hope you business is very successful!!! Here you go dear David! 6.The winner needs to answer the following question correctly: When does the @PicknPay @TasteofJoburg Festival in association with @orbitgumsa take place? 26th – 29th September 2013! Had an amazing time last year and will definitely be attending this year. So why have you not entered the competition to win four tickets for this year? You have until 6pm when the draw is! answer: from 26th – 29th September 2013.